Bloom Where You are Planted….. Encourage, Empower and set the Spirit Free. The blessed dove is soaring higher, urging you and I to reach up and reach out beyond our knowing. The tree houses many creatures. The house on the trunk is a symbol of our need to address and be part of the solution for many issues of justice and poverty in our area. Everyone deserves safe and affordable housing. The heart in the middle of the house represents your heart and mine, where God plants seeds of inspiration for each of us to grow. 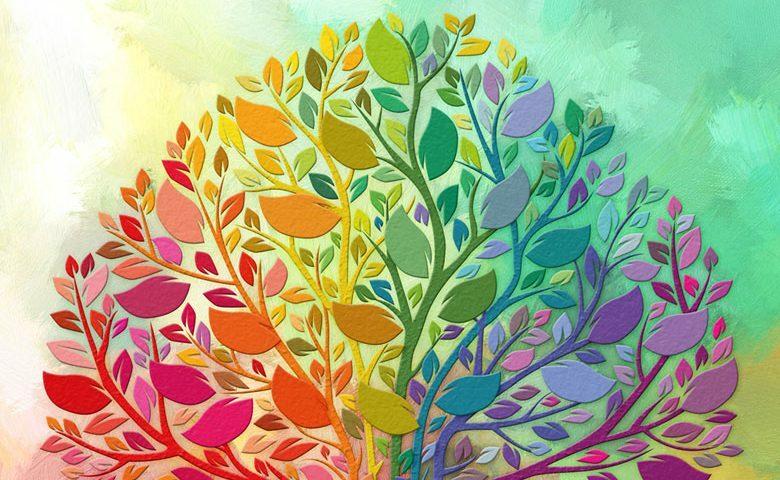 The rainbow colours of the leaves are a symbol of our need to be affirming to ALL those who we journey with. Last but certainly not the least – the roots – where we are grounded in our love for God and with God for others. Bloom Where You are Planted….. Encourage, Empower and set the Spirit Free. Paul appointed Timothy to be in charge of overseeing the church in Ephesus. He had great faith in this promising young man who had left his familiar home and family to commit his life and energy to building up the early community of believers. Paul was in prison when he wrote his letters of encouragement to Timothy. He had heard of stirrings in the church community and wanted to give Timothy assurance of the promise in the work he was doing. But a promise is just that – a promise. It is usually, nothing tangible – more a commitment of presence or action. Rev. Lillian Daniel, pastor at First Congregational Church in Dubuque, Iowa, is a celebrated author. “Sunday Sports has ruined our Sunday School”. “We have never done it that way before”. It was in the early 1960’s the church in North America and Europe started to see decline in numbers and prominence. If that is true for our times, how much more was it true for Jesus’ earliest disciples? 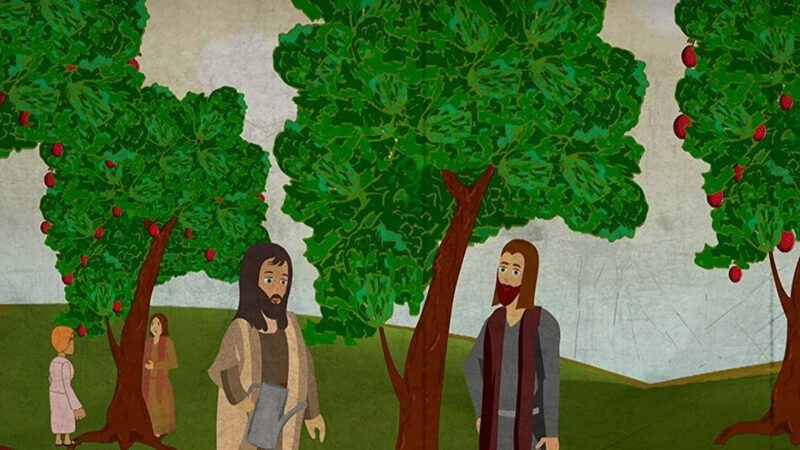 From what we can surmise through the Gospels and Paul’s letters, the disciples were an odd lot of fishermen, homemakers, tax-collectors and eventually former Pharisees and former Greco-Romans. They were small in number. They had no organized church. There were no goals or visions statements. None of the things that seem to us to be measures of strength appear to be on the list of conditions Jesus sets forth as useful in the kingdom. In spite of our certainty of doom, over the years, our church communities have morphed their way through many world events and cultural changes. We watch as farmers plant their fields. Many plants flourish, but some will be in a low area and be stunted with too much sitting water. Some seeds may land in areas where the soil is not rich enough to allow the plants to grow. A row of trees along the edge of the field may block out too much sunshine to allow good growth. But what about those little green sprouts that emerge in the cracks of our sidewalks or blossom in the middle of our laneways? They were not deliberately planted there. They seem to emerge on their own. They thrive in conditions of scarcity and adversity even when we step on them or drive over them. We dig them out only to have the re-emerge a few days later. What might it mean if we as the church stopped thinking out of a place of scarcity and instead allowed our spirits and optimism to soar higher out of a place of abundance and gratitude? What might it mean if we as believers were as focused and tenacious as those little green sprigs? Sometimes……maybe many times, when we are asked about being involved in our church community in a new way, our initial reaction is probably not “yes, of course”. It might be “oh, no……someone else would be much more capable than I. God is not asking about your ability……. God is asking about your availability. “In a well-furnished kitchen there are not only crystal goblets and silver platters, but waste cans and compost buckets – some containers used to serve fine meals, others to take out the garbage. YOU have something to offer no one else has. And that….is the gift of YOU. God gave you the Gift of You to share with others. How can YOU give something of YOU to God and to others today? It doesn’t have to be something big…..or something earth-shaking. Whatever you do, even the smallest thing, combined with everyone else’s smallest thing will be more than enough to create new vitality and hope. We need to re-kindle our excitement for Jesus in a way that shows those around us our community of faith is important to us and essential to our spirit health and happiness. Our London Conference Theme, “Bloom Where You are Planted”, invites each of us to encourage, empower, and set the Spirit free. It urges each of us to find new shoots of joy and desire to serve God the best way we can….to discover crevices of opportunity to share love and peace and encouragement. It calls each of us to share Safety, Sanctuary and Unconditional Love with all we meet and greet. It is hard to tell from that tiny seed what the plant will look like one day. One thing is for sure – If we never plant the seed, we will never have a plant at all. The moisture from the rain, the warmth of the sun, and the wonder of creation is not enough. It takes time for the seeds to grow. That can be the hardest part……waiting for the growth of those shoots. We live in a time and place that is boastful about bigness, money, power, and celebrity. “More of everything”, is the slogan of a major international retailer. Sadly, it could be our culture’s credo. Our Canadian Olympic Athletes coined their slogan as “Go for Gold”. Why can’t our slogan as Christians be “Go for God”? Scripture reminds us, over and over, that God sees things very differently…..
That ordinary things can be extraordinary. That a Jesus-focused community of faith can be so faithful and such a penetrating presence it can change the community for ever. Bloom Where You are Planted……. Reach deep to the Spirit inside you and set it free to experience Jesus in a new way. Go and share that excitement and energy with those around us and watch those new plants grow!!!! !